I'm not sure what you would call these links, but they are pretty easy to make. I also made the jump ring and the clasp, but that tutorial will be for another day. 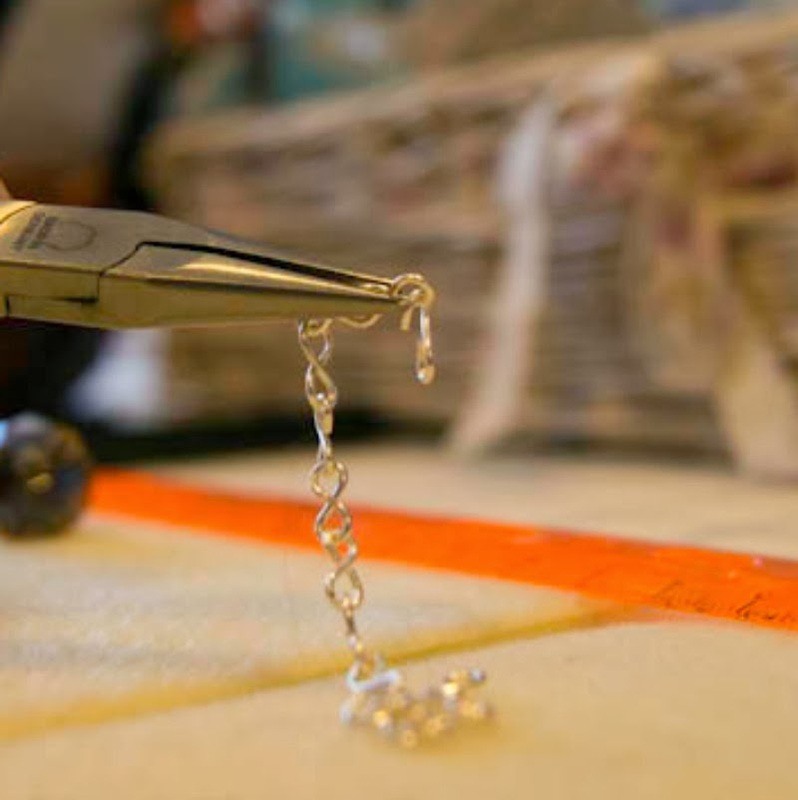 I really like the way this chain came out, and you don't need a lot of supplies to make it. I also used a silver plated wire. You don't want to make this for the first time with sterling. If you are like me, you will make mistakes in the beginning. 1. Start with a 5 in length of 20 gauge silver wire. 2. 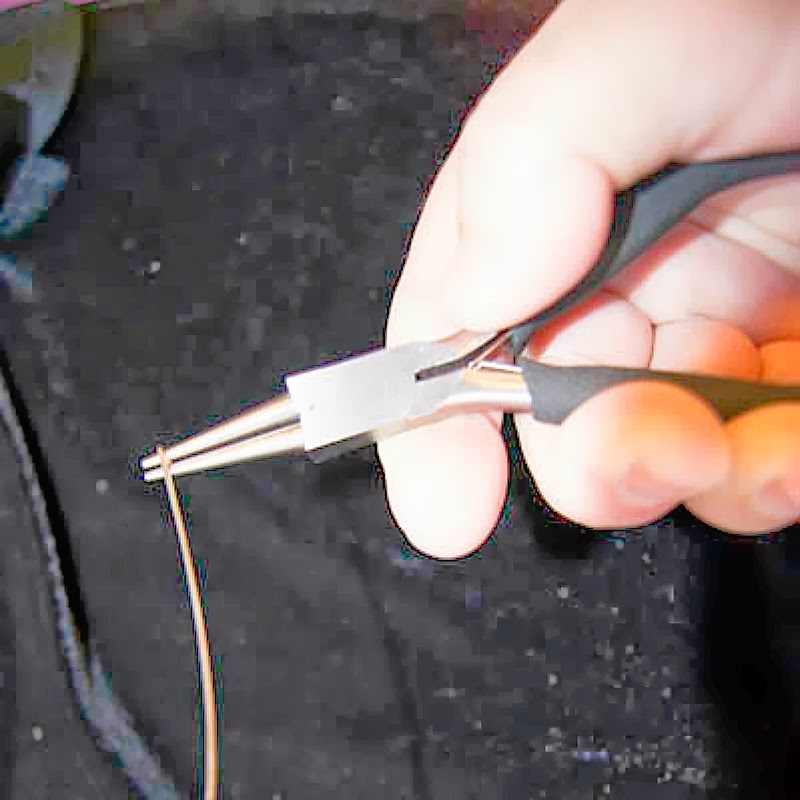 I put the tip of my wire about 1/8 of an inch from the tip of the needle nose pliers, holding the pliers flat in my hand with my palm facing up. 3. 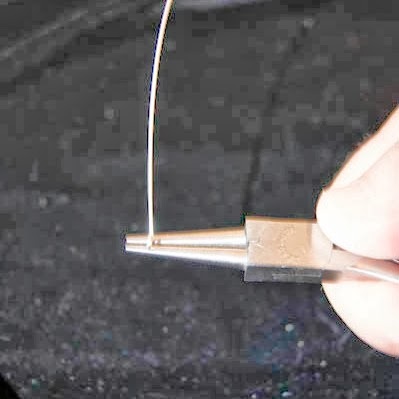 Wrap the wire towards the right of you pliers, and then up and over the top of pliers and to the left. 4. 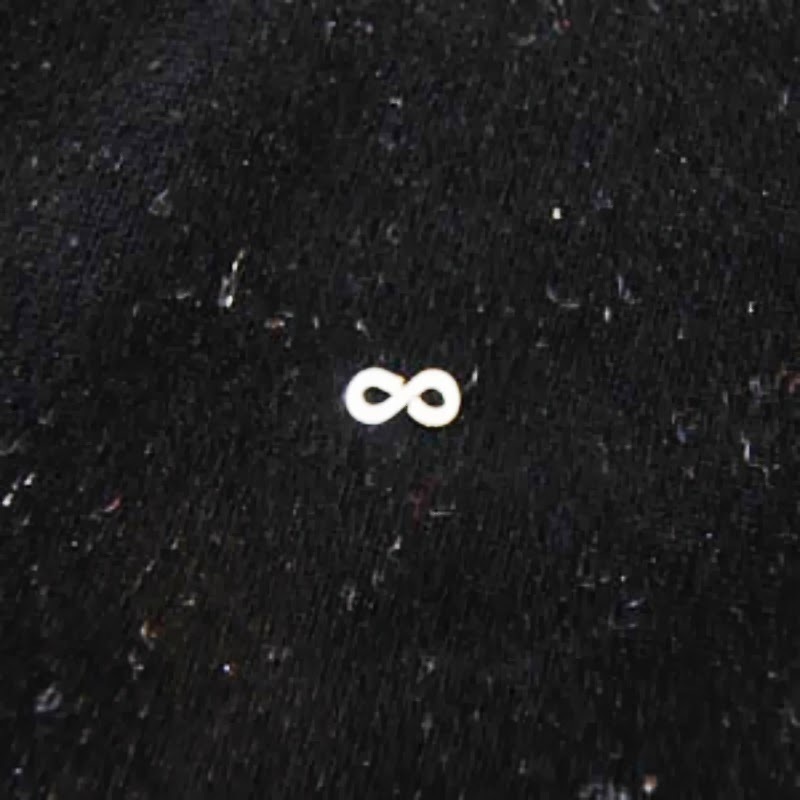 Take the loop off of your pliers. You now have your first loop. 5. Now, you will put the loop on the top of the pliers facing the left of the pliers, holding your hand in the same way as you did in step 2. 6. You will now repeat steps 3 and 4. 7. 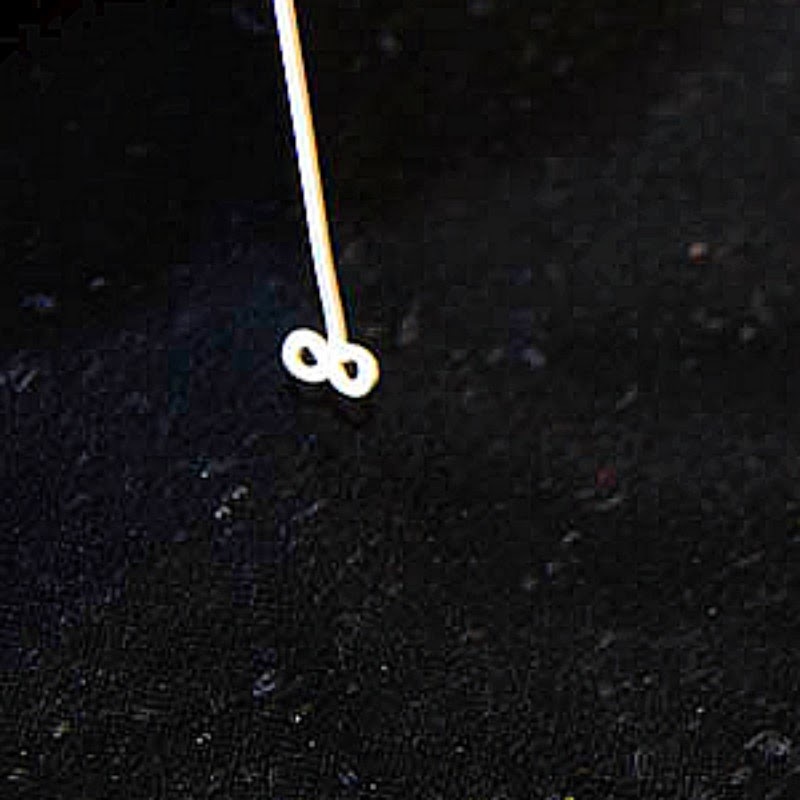 When you take the wire off of your loop it will look like an 8. 9. You have made your first link. You will need to make of total of 16 links. This will be approximately 7 to 7 1/2 inches for a bracelet. 10. From here you can do one of two things to your links. 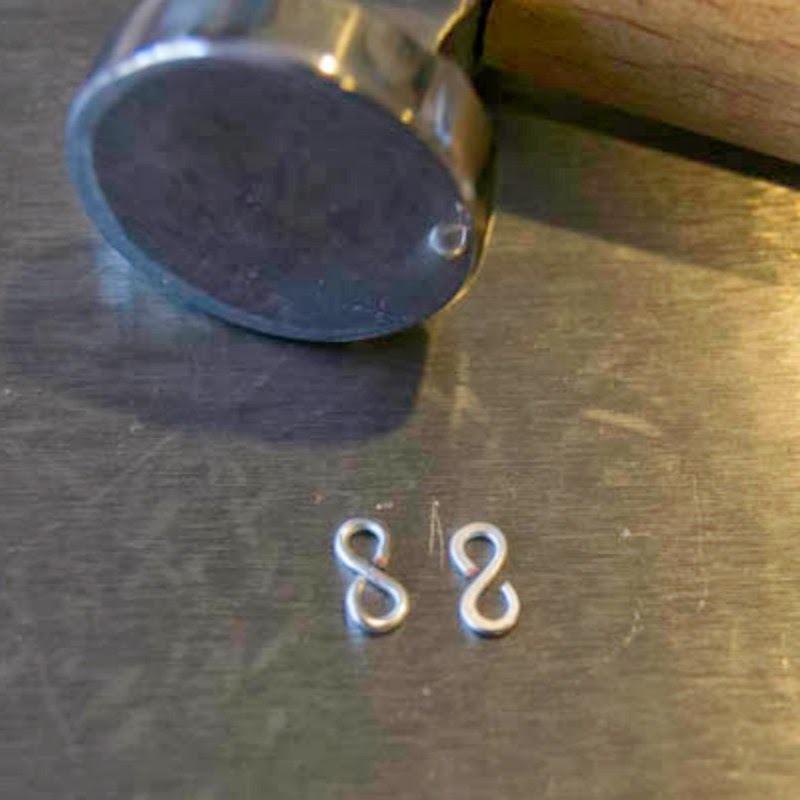 You can either leave them and use them like this for your chain, or you can use your steel block and chasing hammer to flatten them. 11. I am pretty new to making jewelry, but I have heard that when you hammer the wire you harden the wire. I am not sure if this is true, but I tried it on this bracelet. 12 Next you will need to assemble your chain. 13. 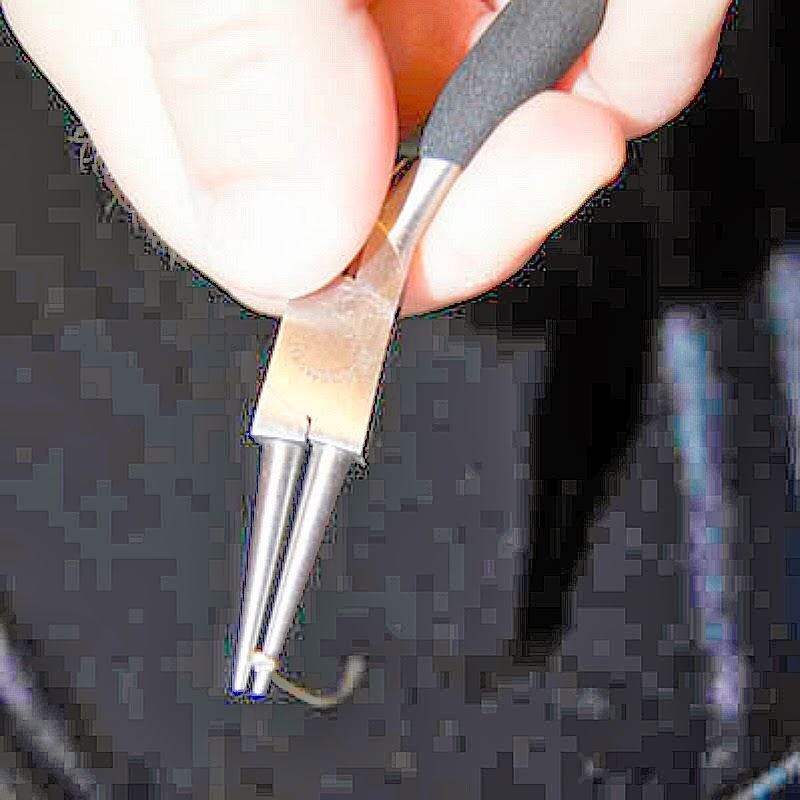 You will need to use either you two flat nose pliers, or use a needle nose and a flat nose pliers to open and close your links. 14. 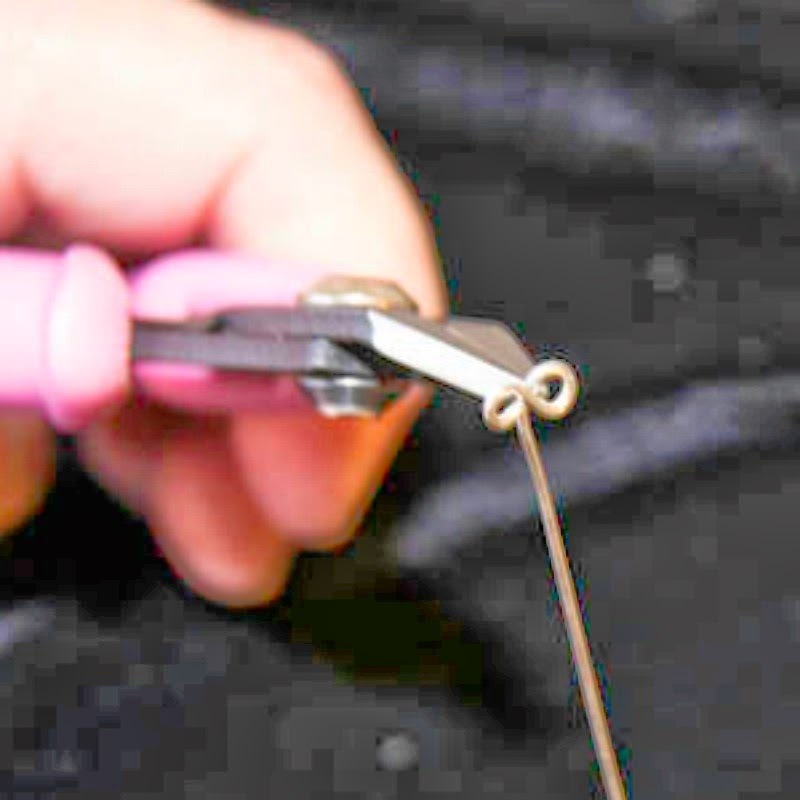 Hold the link in your flat nose plier, and twist the link to the back, and then twist it back to the center of the link so that it touches the center of the link. 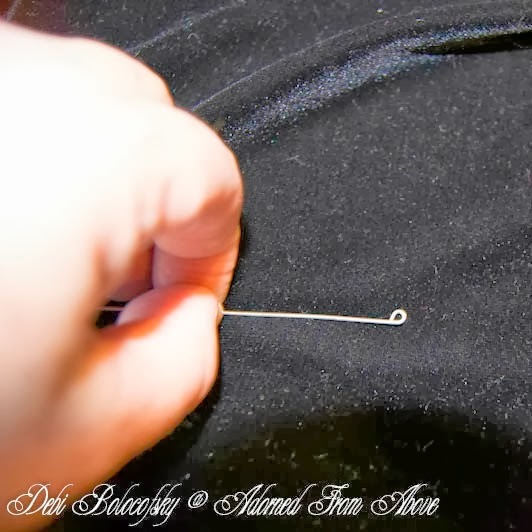 You may need to do this a second time until it is touching the center of the link. NEVER PULL THE LINKS OUT, ONLY TWIST FRONT TO BACK. PULLING OUT WILL CHANGE THE SHAPE OF THE LINK. 15. You have closed one side of the link, you will need to repeat step 14 on the other side of the link. This is your first closed link. 16. You will repeat step 14 for one side of your next link. 17. On the other side of your link you will need to twist it open and then insert into the first link. 18. You will then repeat step 14 to close the link. 19. Keep repeating steps 16 and 17 until you reach the desired length for your chain. 20. You have now made your first chain. If you have any questions please contact me. 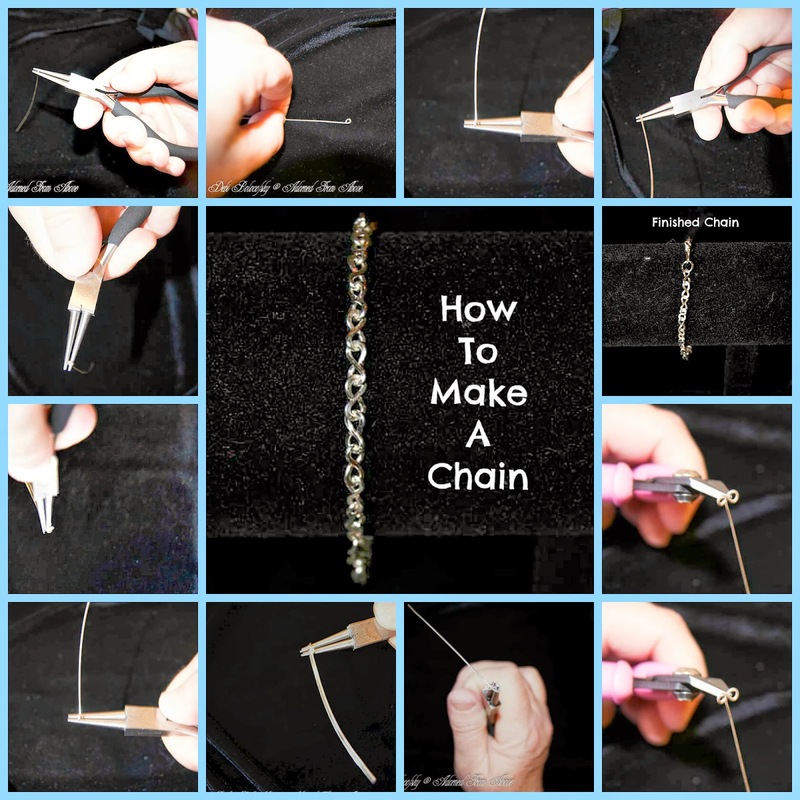 This is the first time I have done a tutorial for a chain, so even though I think it is understandable, it may not be. Let me know what you think. I would also like to know if you would like more tutorials like this or if you would prefer something else. I always love hearing from you. I'm happy that you like the tutorial. It has been really fun learning how to make jewelry. Hi Debi and Charly, thanks so much for the visit to my blog earlier, I appreciate your sweet comment. I have never made jewelry before and this looks like a great tutorial and thanks for sharing it at Isabelle's party! Have a wonderful week ladies! We were really happy to visit your blog. We hope the tutorial helps. We have a weekly party from Tuesday Nights to Sunday nights and would love to have you share your posts. Thank so so much. It has been fun. Thanks for co hosting. Have a great week. WOW such tedious work! I love the design. Thanks for linking! It wasn't too bad. It was pretty fun to make and probably only took a couple of hours. I am having a blast making these pieces. Charly makes different jewelry, which is really cute also. I will post hers in the next few weeks. Some of the classes are free on Craftsy.